I struggle on a deep and personal level with Italian Sausage. It is literally impossible to photograph attractively. It looks absolutely bizarre on a plate of pasta. 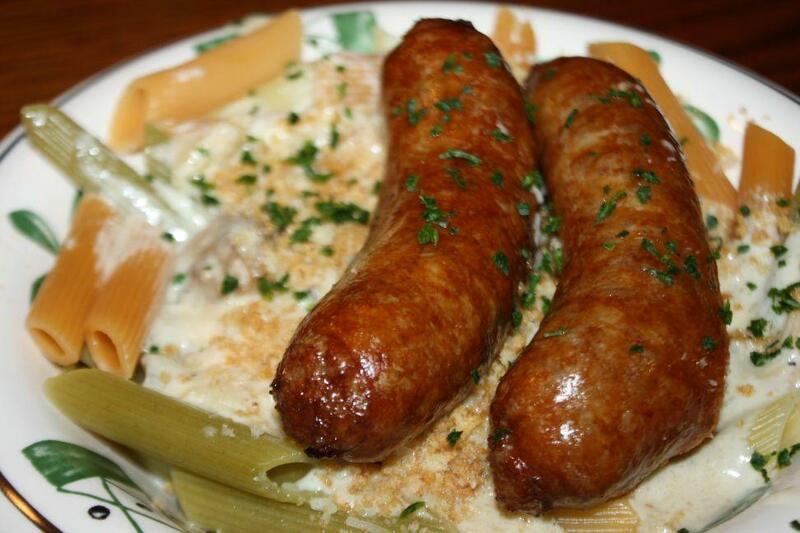 I have no idea what Olive Garden was thinking when they made this fatty, sodium-engorged phallus a standard topping. Why isn't it sliced up? Why isn't it ground up? Why isn't it incorporated into the food somehow? Why, oh, god, WHY is it just plopped on top of every meal I order it with like a disgusting joke?! Pictured here is Penne Loafer, and I felt myself get genuinely mad when I saw they had put two on top of it.